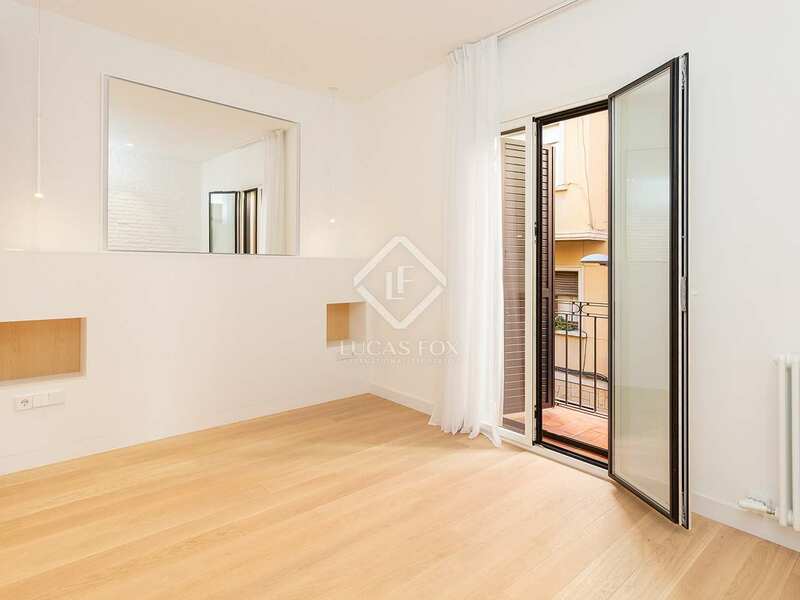 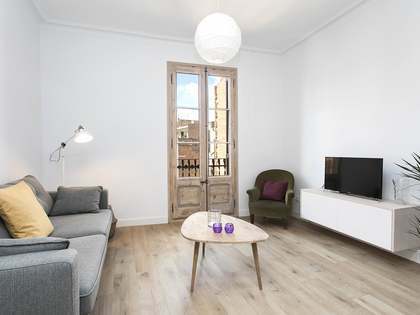 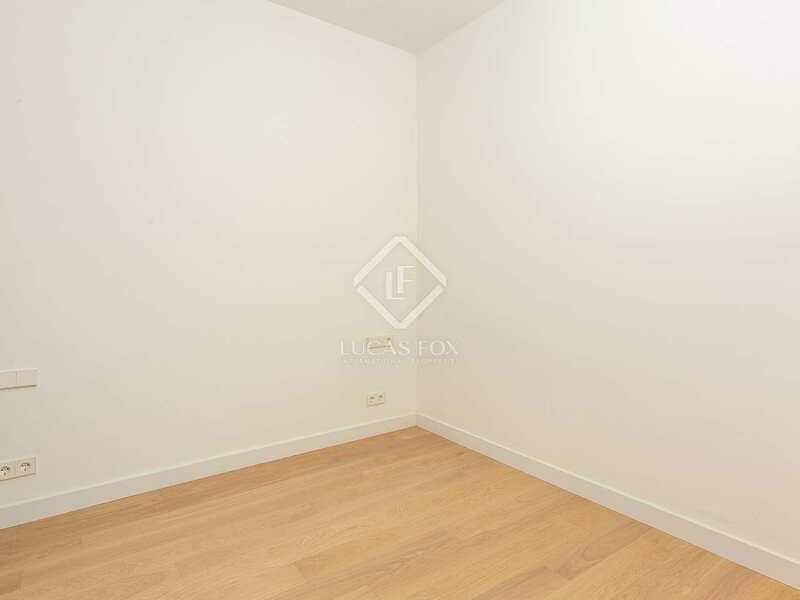 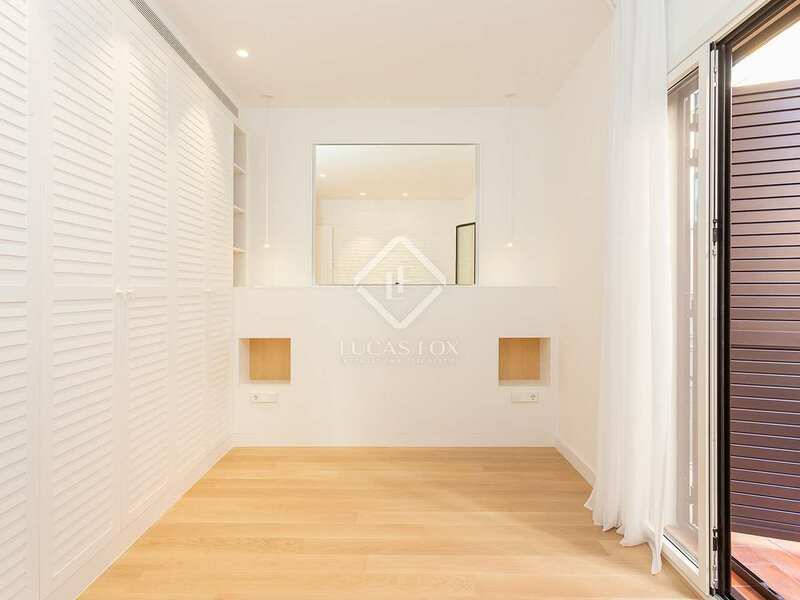 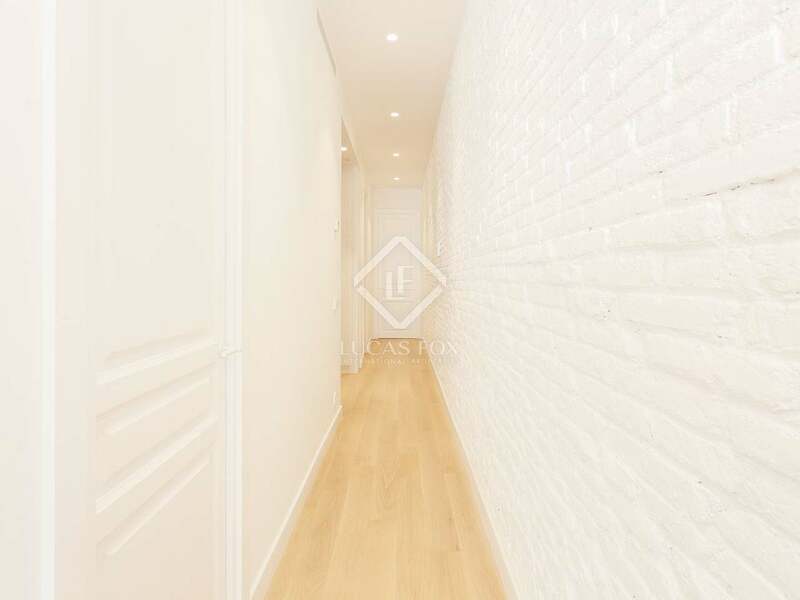 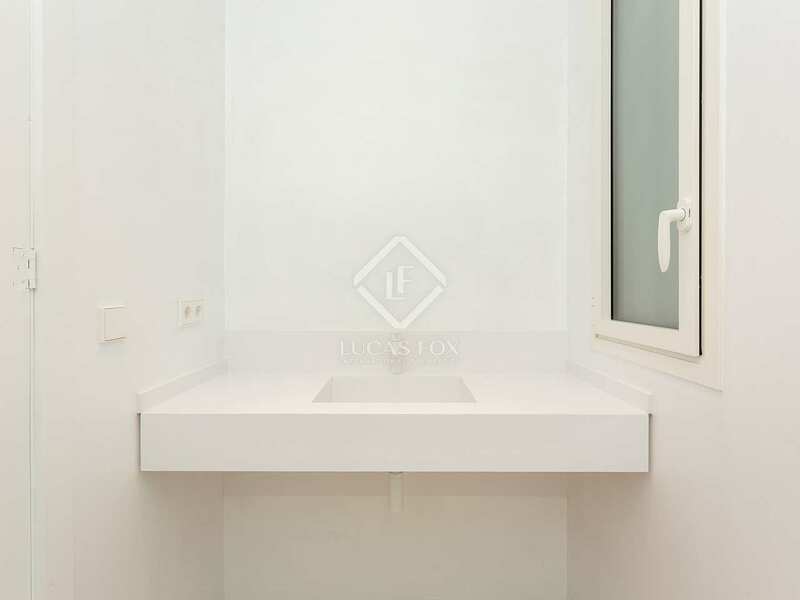 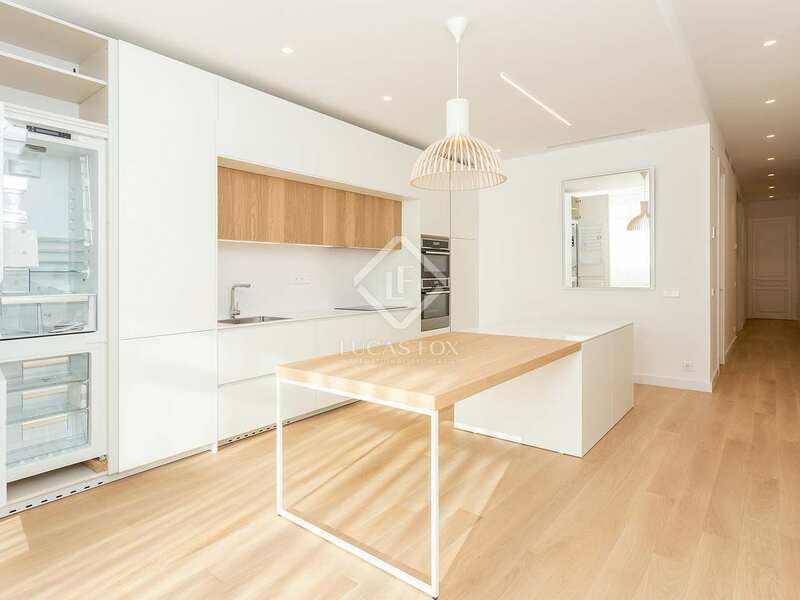 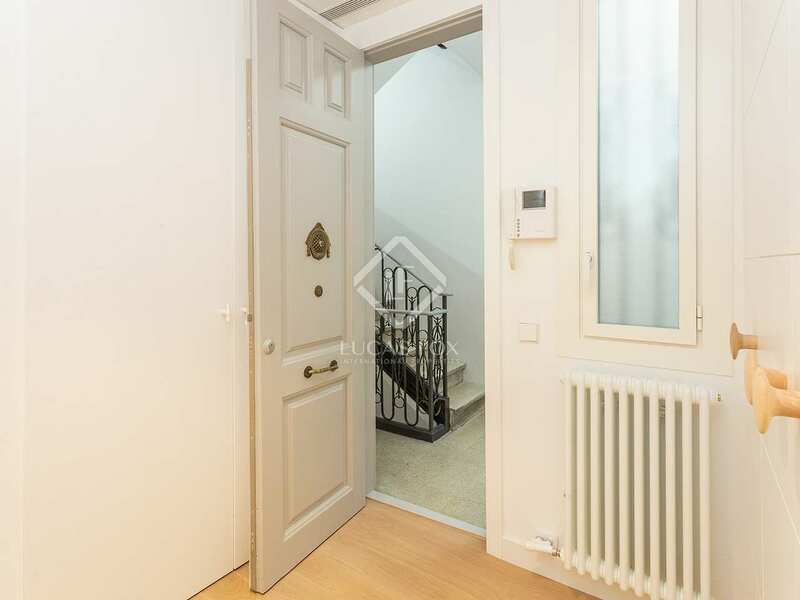 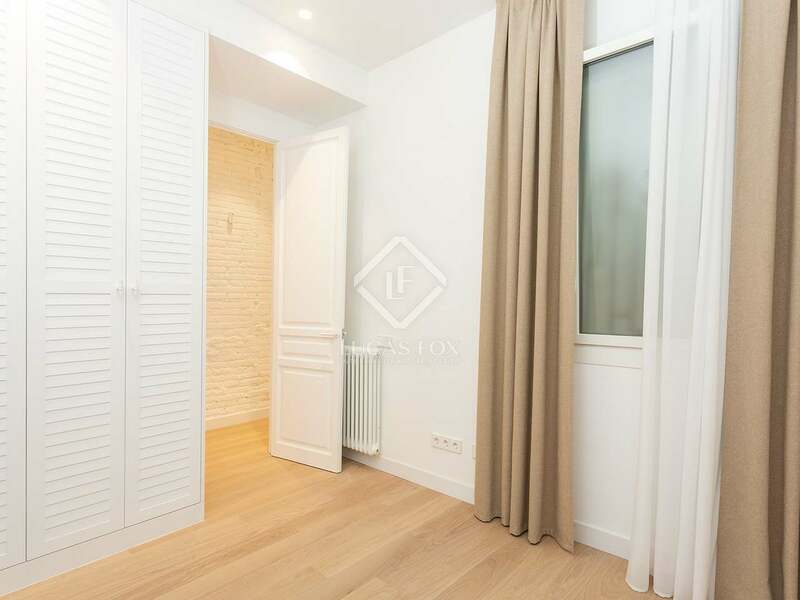 Excellent renovated apartment of 85 m² plus a very sunny and quiet terrace of 40 m², located in a fully renovated building with just 3 neighbours, on a very quiet street of an up-and-coming Barcelona neighbourhood. 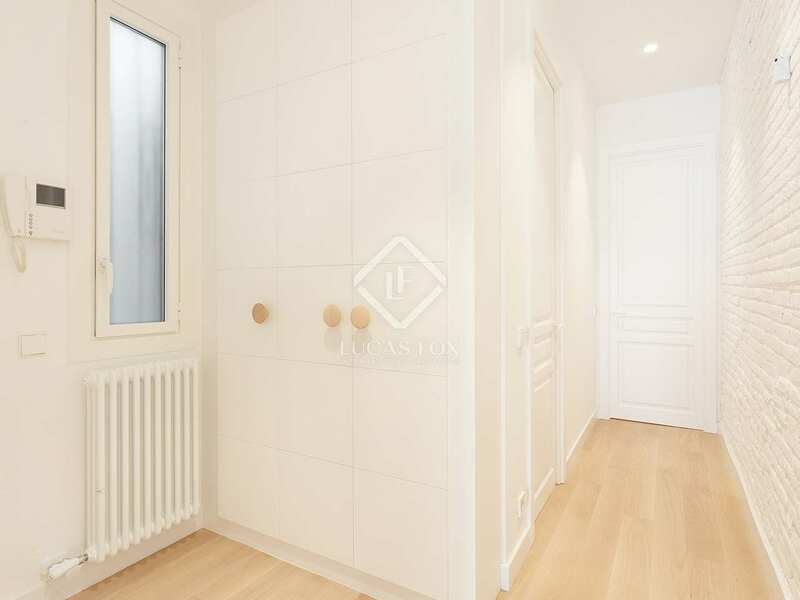 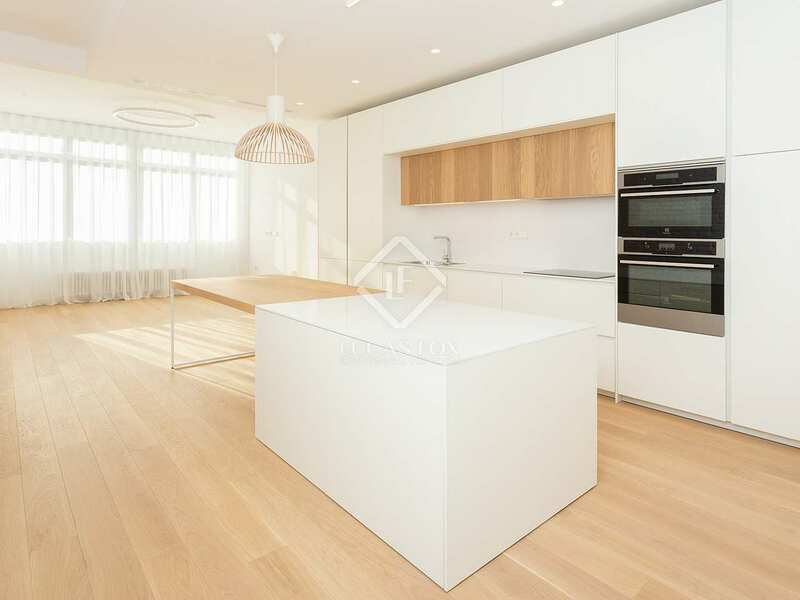 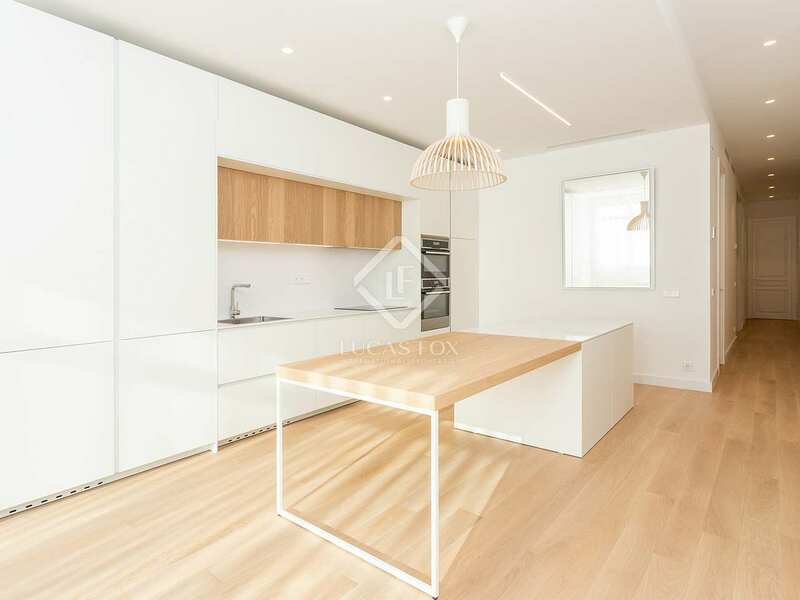 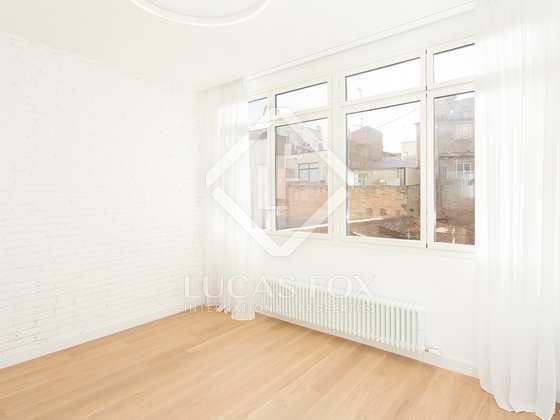 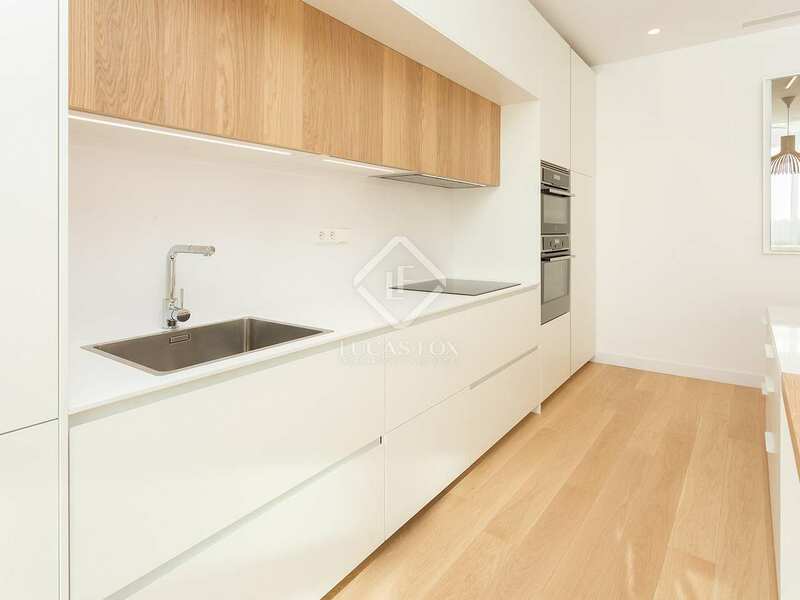 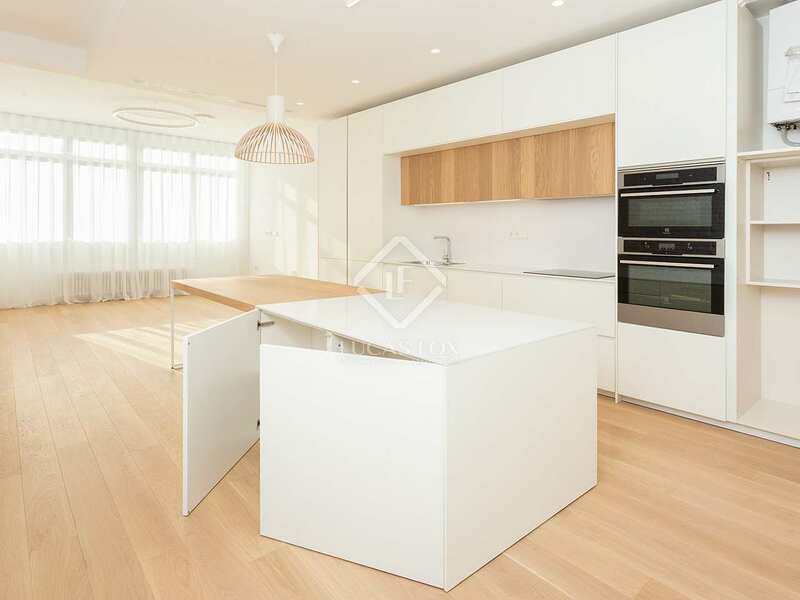 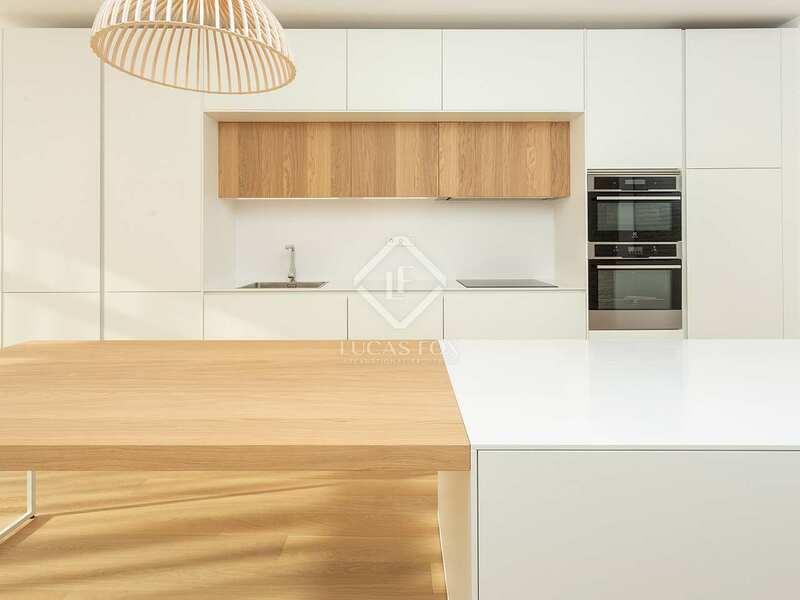 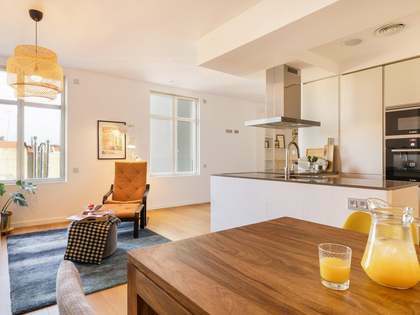 This beautiful apartment has been completely renovated in 2018 with quality finishes and is ready to be delivered in move-in condition. 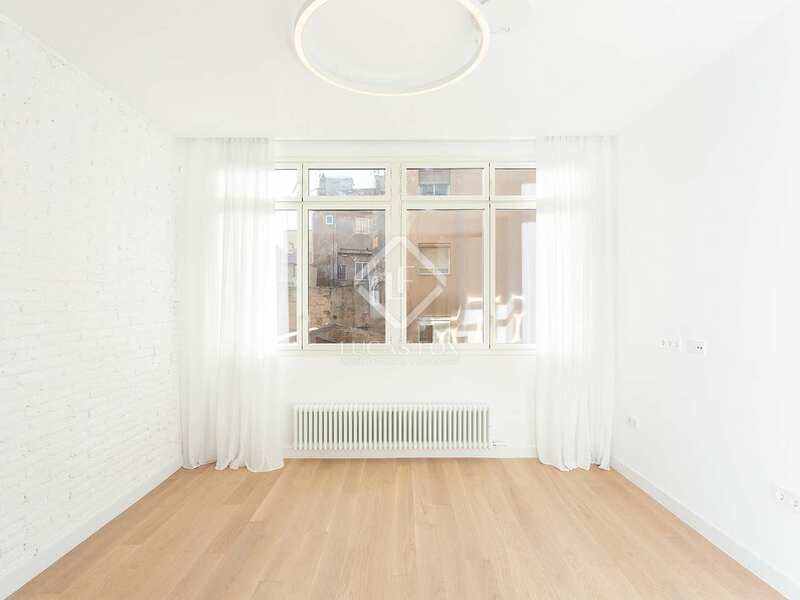 The renovation has opted for the colour white as a common thread which has created spacious, clean and bright rooms that, together with the characteristic high ceilings of an old building, give it a very airy feel. 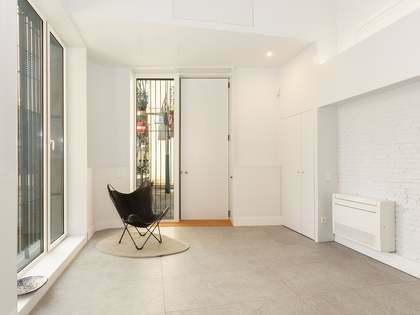 The lower floor consists of a large living-dining room with built-in kitchen of 40 m², 2 double bedrooms and a bathroom. 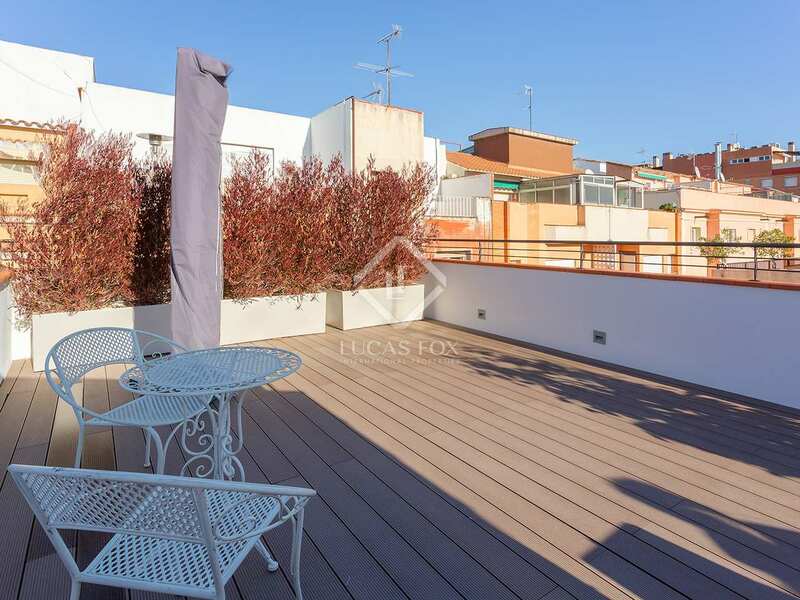 On the upper floor we find a very sunny and quiet terrace for private use, the perfect space to sunbathe or eat and enjoy with friends outdoors. 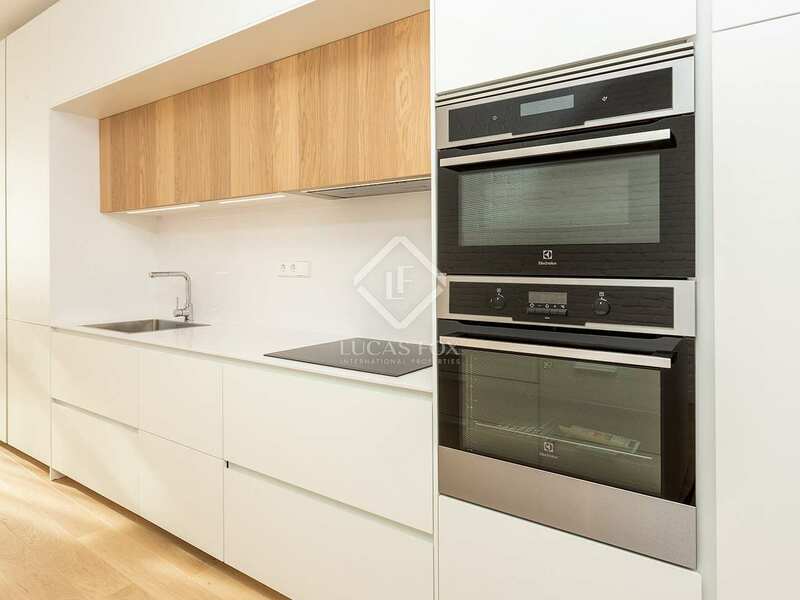 The finishes are of high quality, fully equipped kitchen with refrigerator, freezer, oven, microwave and dishwasher. 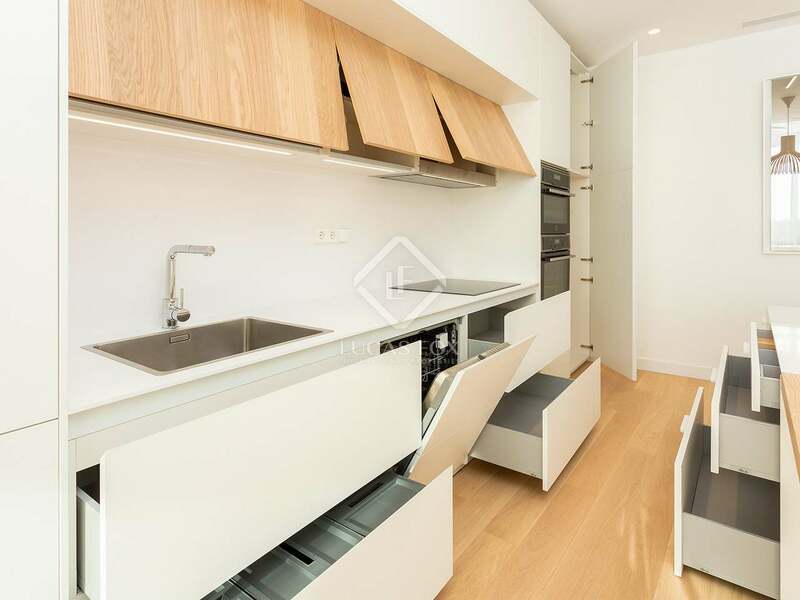 It also has a space for laundry with washer and dryer. 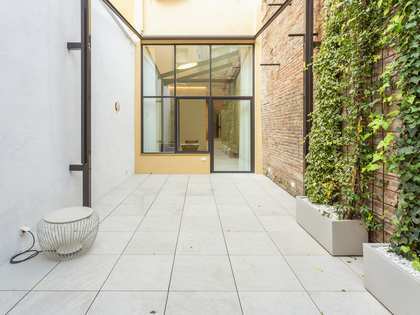 The external enclosures are made of aluminum carpentry by the brand Technal, with acoustic and thermal glass to improve its high performance. 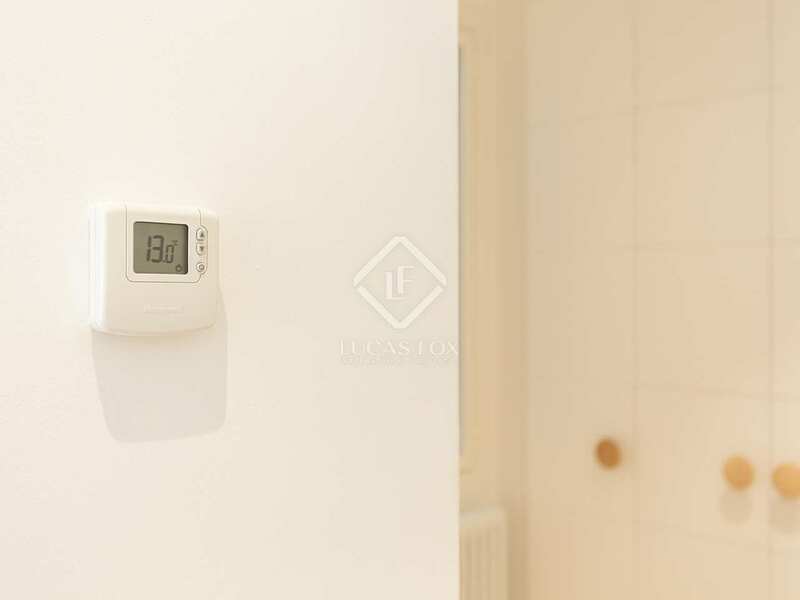 It has been air-conditioned with the Mitsubishi brand air conditioning system, and gas radiators by the brand IRSAP have been installed. 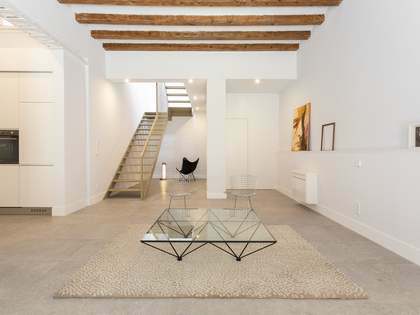 The floors are made of natural wood with a white finish. 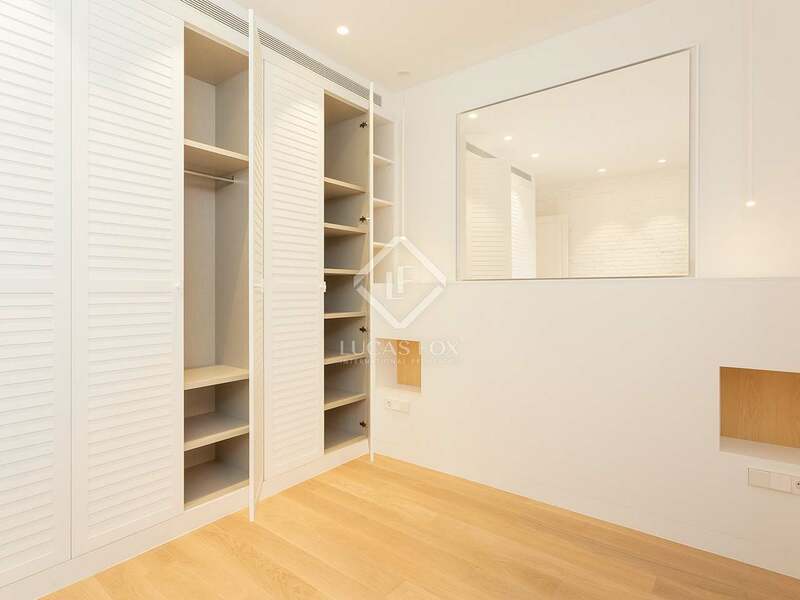 The property is delivered with custom designed cupboards in the bedrooms, bookshelves, curtains and lighting. 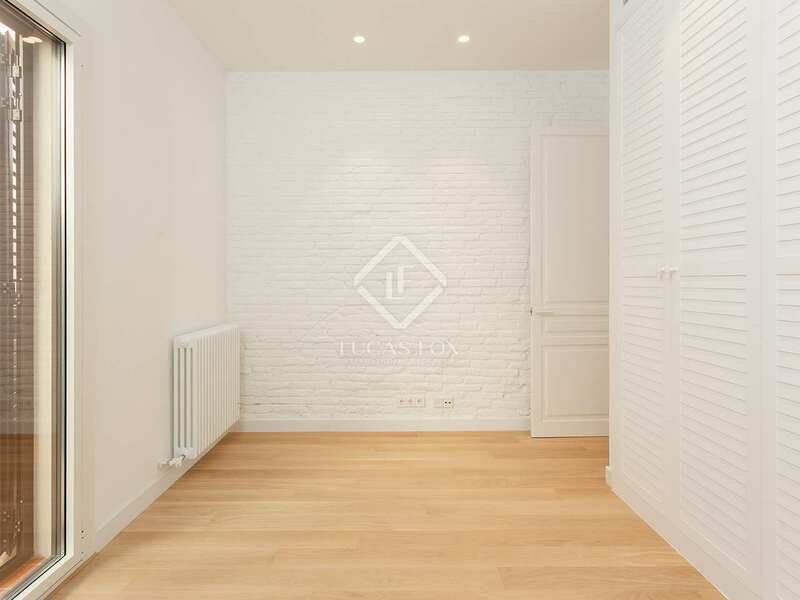 This apartment, which has a certificate of habitability and is sold unfurnished, would be perfect as a first or second residence. 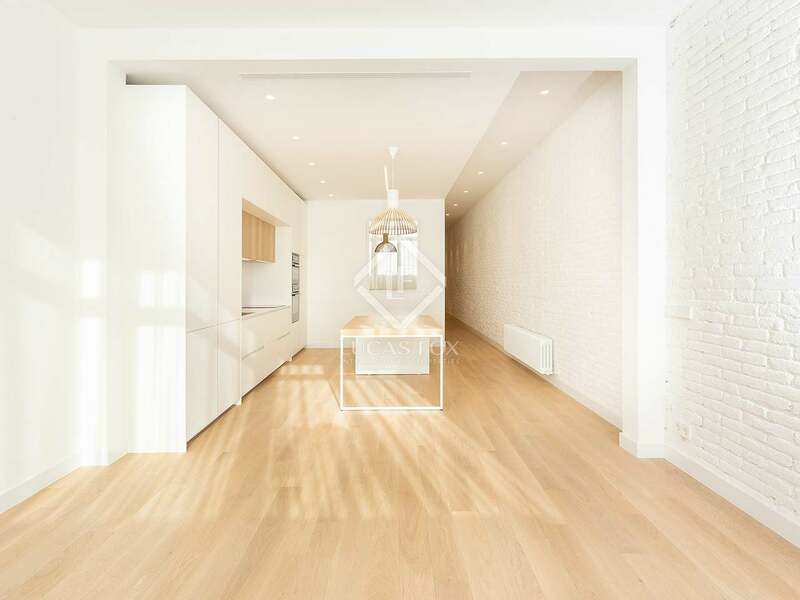 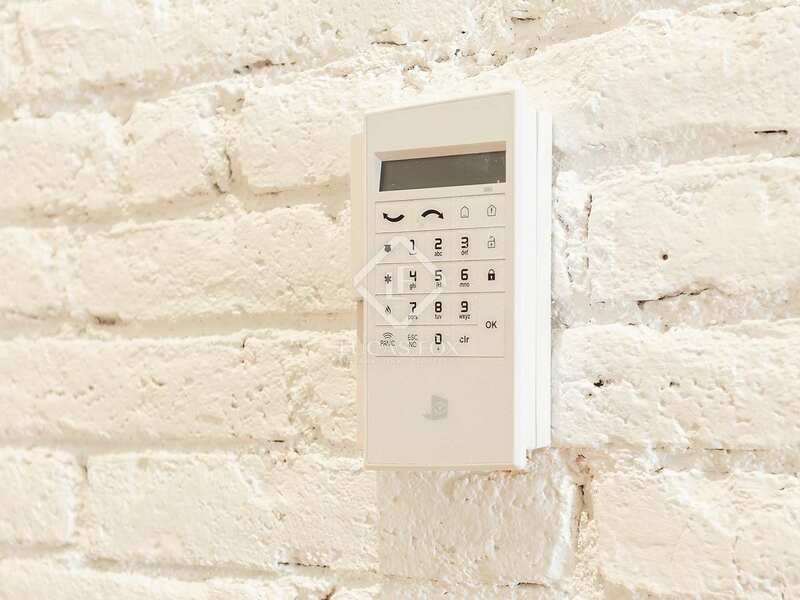 What's more, as it is in an increasingly popular area, it can be considered a sound investment. 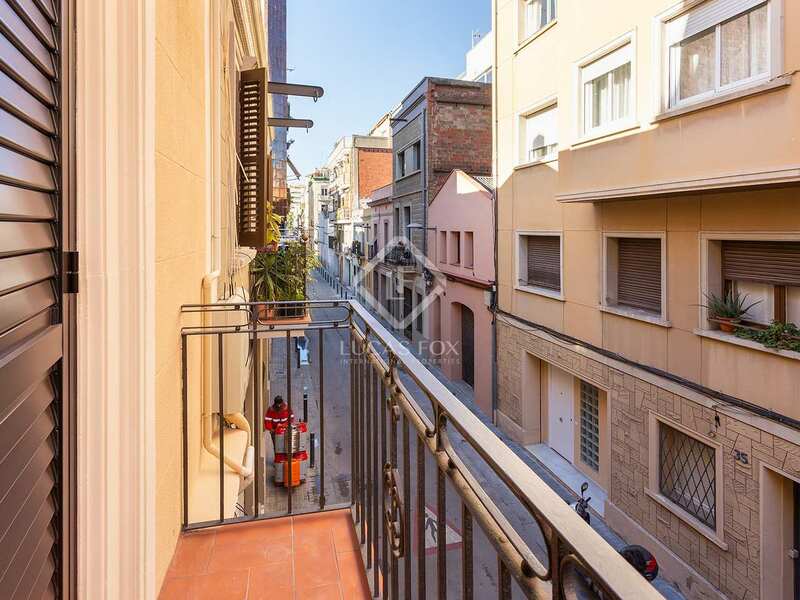 It is located in an up-and-coming Barcelona neighbourhood, between Sants and Les Corts and very close to the Estació de Sants. 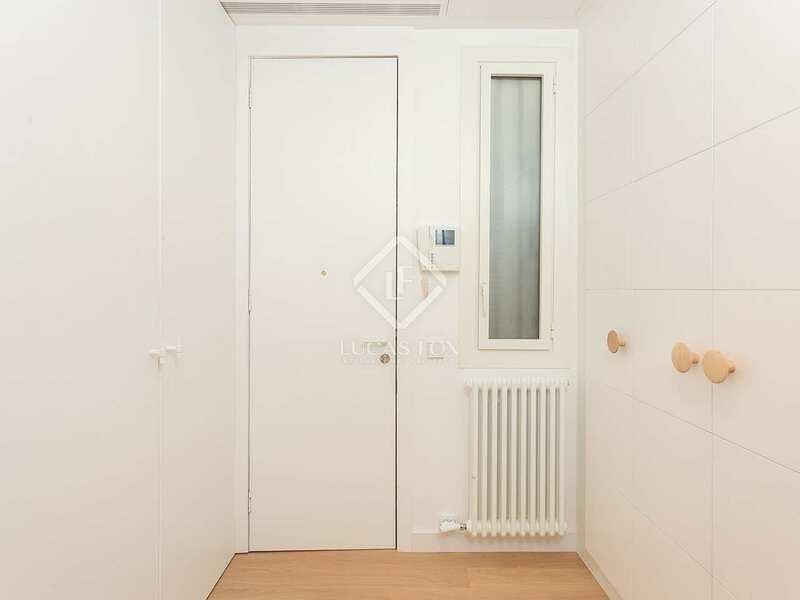 The area is very well connected by public transport with the entire city and the airport, and also offers a large number of services within easy reach.